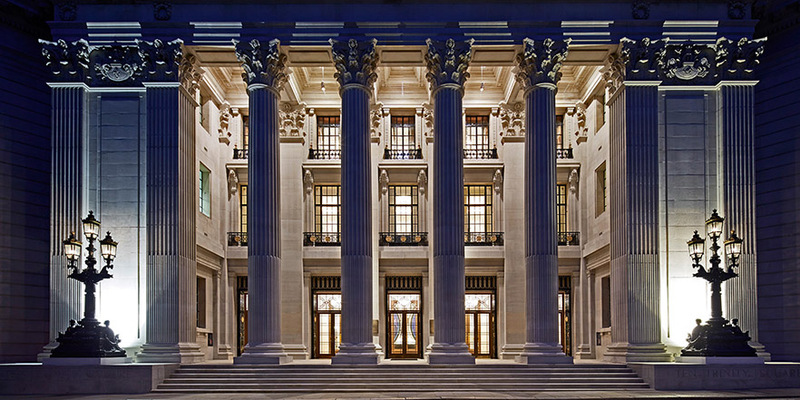 Designed by the renowned architect Sir Edwin Cooper, this grade II listed building is best known as the former headquarters of the Port of London Authority, it was built a Century ago, and opened in 1922 by the then British Prime Minister David Lloyd George in the presence of Lord Devonport, despite heavy bomb damage resulting from the Second World War, the now UN Hotel Ballroom, was the setting for the inaugural reception of the United Nations General Assembly after the Second World War in 1946, this World Heritage site was meticulously restored, and upgraded into a 7 star, luxury, Four Seasons Hotel. 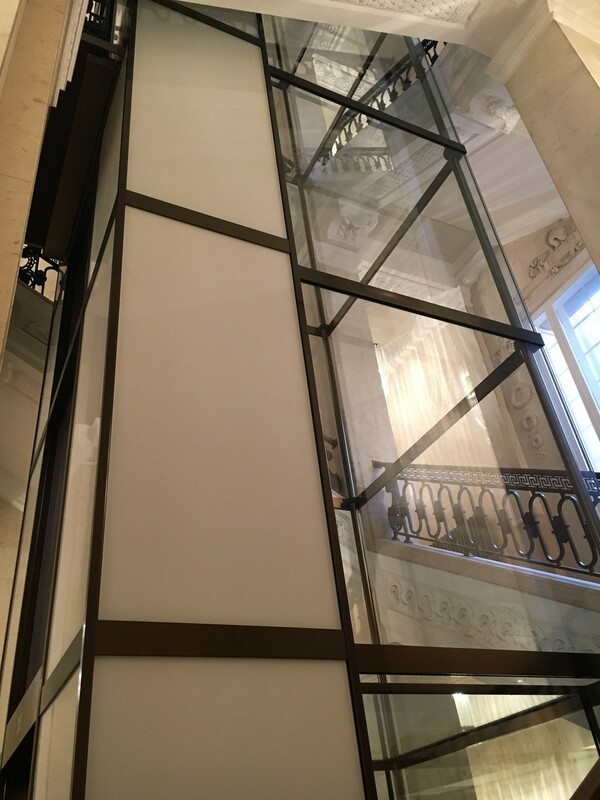 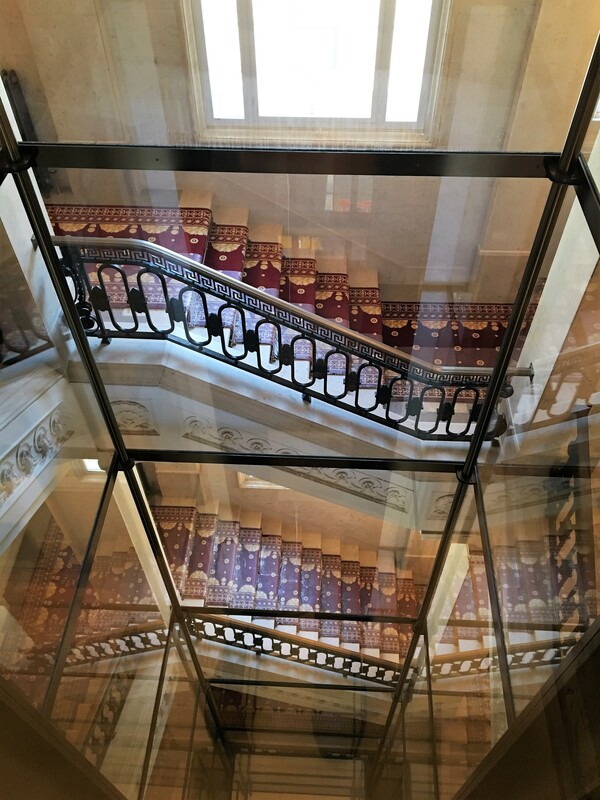 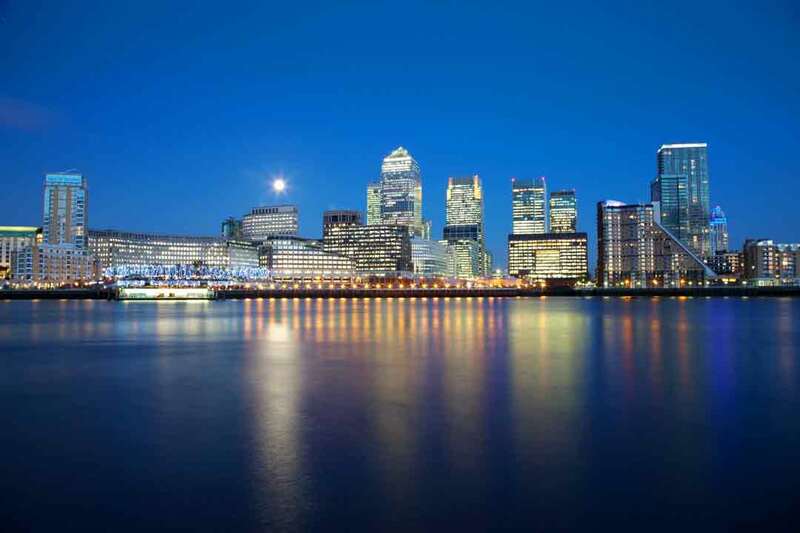 GBH-Design GmbH combined with partners Elevator Planning UK Ltd was contracted to design, manufacture and install two 17 person, 1300kg, very special direct acting hydraulic glass lifts and lift shafts, serving 5 floors over a travel height of 18.46m, and a contract speed of 1.0m/sec. 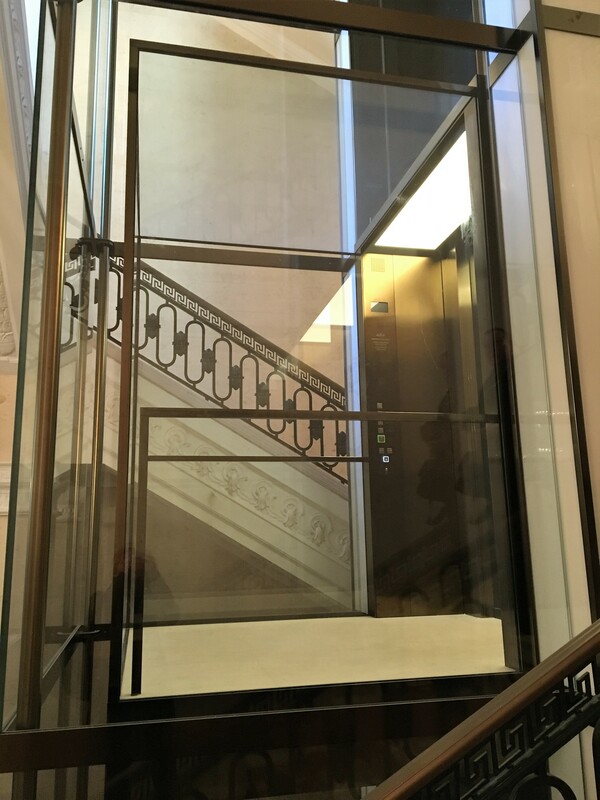 The intent was to provide passenger lifts, with partial Fire Fighting capabilities, preserving the detail and integrity of the original building, GBH fashioned the lift cars and shaft in low iron glass, and a minimal stainless steel frame finished in an antique gold colour spectral coating, the technical components are hidden either side of the lift shafts, within white coloured back painted glass panels. 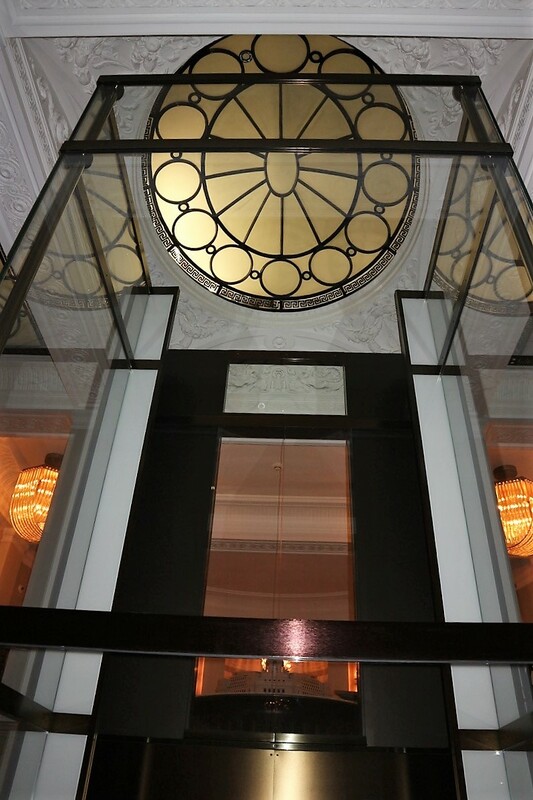 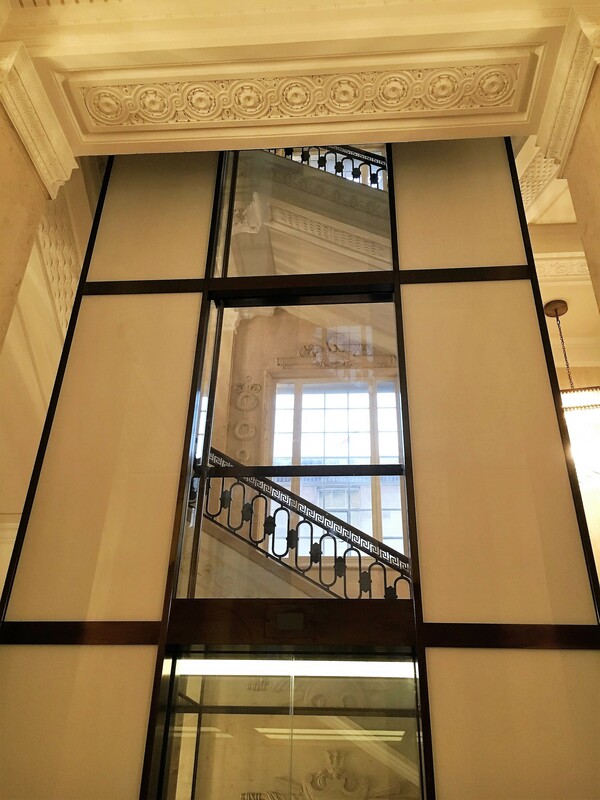 The glass lifts were designed to optimally match the existing marble stairwells, in the towers either side of the Hotel entrance foyer.